BEFORE LEAVING: Manata Upadhyaya of NIEC counseling Rachit Baudhacharya, who is flying to Australia soon for studies. With the 2017 academic year commencing at Australian universities this month, a record number of Nepalis are heading there for higher studies, making Nepal Australia’s eighth largest source of international students. Lured by relatively lower fees, easier process for student visa and more attainable job prospects, there have been 20,463 Nepali enrolments in Australian educational institutions as of September 2016, twice as many as last year. However, many students interviewed said privately they intended to stay on and work in Australia. “I’d like to think educational reputation is the reason people come to Australia and not for the sole purpose of Permanent Residency,” Australian ambassador Glenn White told Nepali Times. He admitted he is often asked why Australia attracts so many Nepali students, and said he hopes more students will return and contribute to Nepal’s economy. Manata Upadhyaya of the Nepal International Education Consultancy (NIEC) says it is much harder to stay illegally in Australia than it is in the United States. But she believes more than 70 percent of Nepali students who go to Australia to study will settle down there. Post-graduate student Shelina Amatya, 24, says she will apply for Permanent Residency when her visa expires in 2018 as she tries to get her foot in Australia’s corporate world. Amatya believes the working conditions are the main reason students are breaching their visa agreements. “The limit of 20 hours work a week for students hardly covers rent and food when you have the added burden of tuition fees,” she said. He added that recent changes to the Skills Occupation List (SOL), which is part of Australia’s immigration points system, have made it harder and costlier for students to meet the requirements of the SOL that they are applying to. Nepali student Keshav Khatri, 18, will be headed to Australia for an under-graduate nursing studies next year, and says he has chosen Australia because “not all degrees in Nepal are recognised globally”. 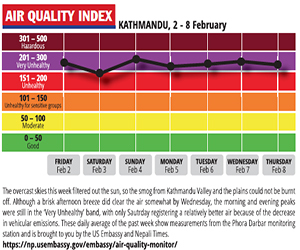 Nepalis are migrating for studies abroad because of falling quality of education back home. Sagar Raj Sharma, a professor at Kathmandu University, says Nepali universities have to be restructured to retain Nepali students. “The curriculum has become outdated and we place too much emphasis on theory,” says student Rachit Baudhacharya who will begin his masters in information technology in Sydney in 2017 but believes his degree will be useless if he cannot put it into practice back home in Nepal. Australian and Nepali institutions are also cooperating in introducing a new model in which students get instruction in Nepal but get Australian certification. Last year, Northern Rivers TAFE Australia offered vocational training in hospitality institutions in Kathmandu Valley and got Commercial Cookery Certificates are accredited to Australian standards. Adopting this education model would not only provide Nepali students with a degree that is internationally recognised, but would also potentially save them thousands in tuition, not to mention bring down the visa breach rates. Noticing the startling numbers of Nepalis applying for student visas, Western Sydney University (WSU) recently signed a ‘mobility agreement’ with Kathmandu University. Nepal has now become WSU’s second biggest market for international students. 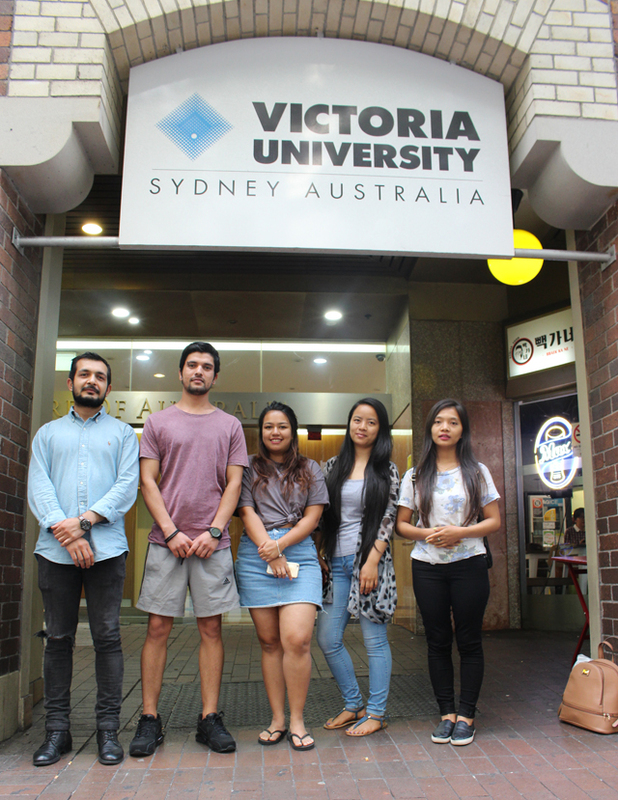 Nepali students studying in Victoria University in Sydney. From right to left: Goma Garbuja, Roni Gurung, Abhilasha Pradhan, Saajan Acharya and Kenish Bista. Nepali students have their eyes set on Australia due to quality education, good earning opportunities, better prospects and hopes of securing a Permanent Residency. These are becoming some of the main factors for luring Nepalis to universities Down Under. 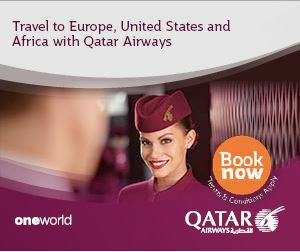 “The reason they are attracted to Australia is both in terms of their career prospects and the pay. With a little extra effort they can easily settle here and support their families back home financially,”said Sunita Shrestha, International recruitment manager of Education Centre of Australia. Information Technology and accounting are some of most commonly chosen subjects by the students. “One thing that is true is, out of the students who come here 99 percent want to settle over here,” said Shrestha. Out of the many universities that the students come to, Victoria University in Sydney has become one of the popular destinations for the students. Nepali Times talked to some students of the university about their aspirations, hopes and their reason for choosing Australia.